The 2013 AFL Multicultural Round celebrates the contribution that multicultural communities have made to the game. This season, 121 of the 817 AFL-listed players (15 per cent) are from a multicultural background (at least one parent born overseas). The Brisbane Lions and Gold Coast Suns boast the 2nd and 4th largest contingent of Multicultural talent on any AFL list and are working proudly alongside their Multicultural ambassadors, Pearce Hanley and Karmichael Hunt, to share their experiences during the week. Hanley is one of those that has stood out this season, and has been one of the Lions’ most successful international recruits. Born in England to a Welsh mother and Irish father, Hanley hailed from the small dairy town of Ballaghaderreen in Country Mayo, Ireland where he played Gaelic Football. Representing Ireland in the 2006 U17 International Rules Series in Fremantle, Hanley shot to prominence by winning the Ron Barassi medal, before signing with Brisbane in 2007. Hanley said it was a challenge adapting to Aussie Rules when he first came to Australia, but he was determined to make it work. “I’d never played with the oval ball before, like most Irish boys that come over, but I took it as a big challenge and I worked very hard on it,” Hanley said. 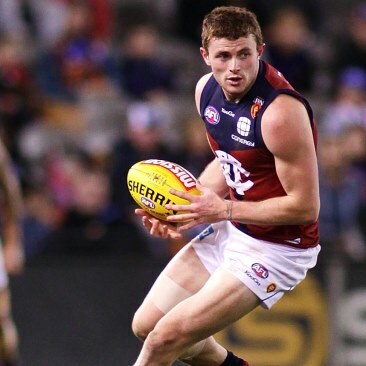 Hanley is now a permanent fixture in Brisbane’s half-back line, finishing third in the 2012 Merrett-Murray Medal and staking a claim as one of the most dangerous attacking half-backs in the AFL, ranking No.1 at Brisbane for score involvements. Gold Coast’s, Karmichael Hunt, is probably one of the most high-profile of the AFL’s multicultural contingent, born and raised in Auckland to a Samoan father and Cook Island mother, before moving to Australia in 1997. The former rugby league international, made his SUNS debut against Carlton in Round 2, 2011 and has played 41 games since, establishing himself as an AFL footballer. Hunt, who finally feels comfortable in AFL, said it was important to recognise the importance of celebrating multiculturalism in all codes. “The first couple of years, it was tough. I had grown up playing Rugby League in New Zealand and then for the Broncos, so I wasn’t really ready for the change in fitness and style,” Hunt said. “But now I feel like it’s not about my weight or code switching anymore, I’m starting to get recognition for what I’ve achieved and it’s nice. Gold Coast faces on Richmond at Cazaly’s Stadium on Saturday afternoon, while Brisbane takes on with North Melbourne at the Gabba later that evening. An array of multicultural talent will be on offer in both games celebrating the diverse backgrounds involved in the AFL community.